The most inspiration sports-theme manga is definitely Slam Dunk. 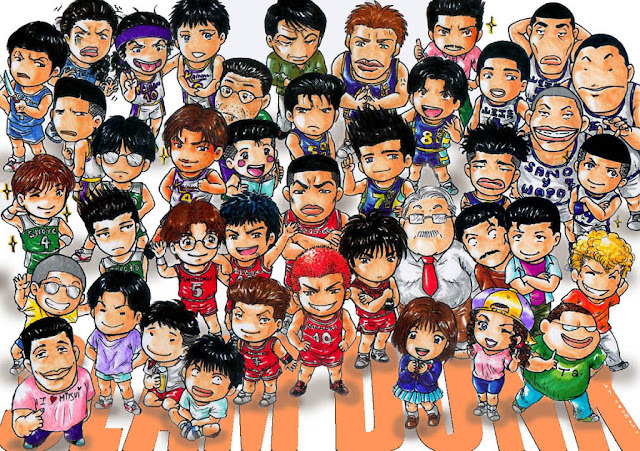 Some may say that it is a different manga, light novel or anime but I am pretty sure that it is Slam Dunk not because as a personal choice but also because of the letters that the author Takehiko Inoue has been receiving every single time he releases a single chapter of his original masterpiece manga. 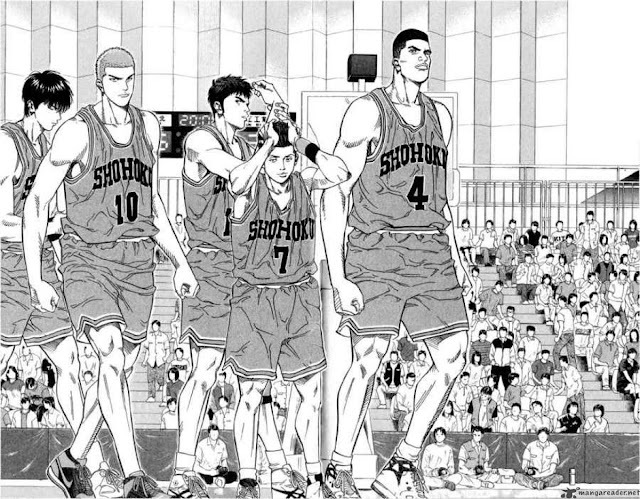 Slam Dunk never, no I mean Takehiko Inoue never failed to personate the top teams of NBA representing Shohoku, Ryonan, Kainan and Shoyo as Chicago Bulls, Utah Jazz, L.A. Lakers and Boston Celtics respectively. At first, I was skeptical when my brother told me that fact but when I try and look at the Kainan’s varsity jacket, it really looked like the Laker’s jacket for real. There were 101 episodes of Slam Dunk’s first season of its anime adaptation. It was the long journey of the Shohoku High School basketball team as they strive and do their best to hit the national championship for them. 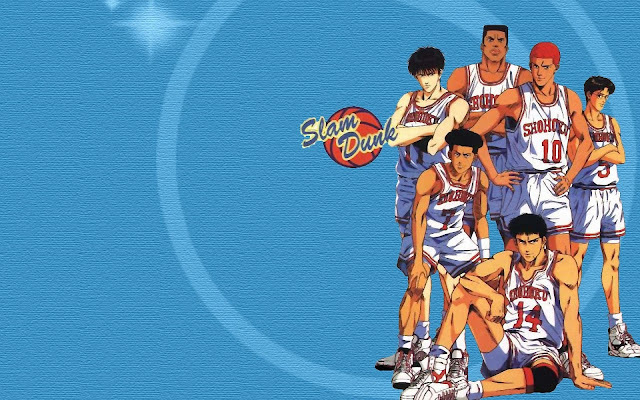 There are confusions when it comes to the partitions of anime seasons of Slam Dunk. There is only a single season for the anime adaptation and a season 2 is pretty much the OVA of the original story. I mean, the season 2 was covered as 4 OVAs if I am not mistaken.